I live in Maine, and imported a custom 12' Taylor Coach from Ontario. In thinking what I would do differently next time, I think being rid of the black tank and getting higher road clearance are at the top of my list. Your camper is interesting....please post more pics as time goes on, and what is the weight of your camper? 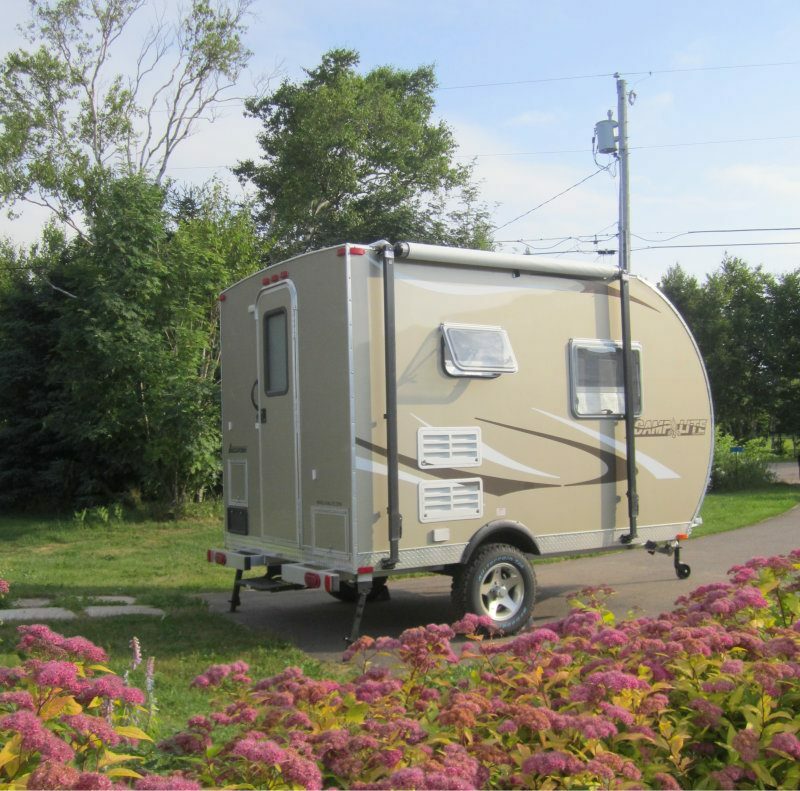 The layout of our Camplite 11FDB is very similar to a Taylor 12' Bobbie. One notable difference is the Camplite is 6" wider at 7' wide. Another is the Camplites have a wardrobe closet on the same side as the kitchen so our kitchen is noticeably shorter than that in a Bobbie. Our cabinet next to the wet bath is only a lower cabinet - unlike the Taylor pics I've seen that show it as a full wardrobe. Taylor's specs says it sleeps four but it has the dinette double bed & a single bunk -- sounds like it sleeps three. I suspect our Camplite is a bit heavier than a similarly equipped Bobbie. Ours is about 2000 lbs dry. (I know the Taylor specs say 1000 lbs but that is bare bones without the options most owners likely have). I would suspect the aluminum chassis, flooring & framing of the Camplite is quite a bit more robust than what Taylor uses. As you suggest you'd like next time, we did forego the blackwater tank & had a cassette toilet installed instead. We also have the "off-road" option that provides 14" wheels & a couple inches of lift. The resulting ground clearance is about 3" higher than the standard Camplite. The ground clearance is so good we have on our wishlist to add a under chassis storage system like Lippert Components sells. I will be posting many more pics and details about our trailer's construction, its features, and our modifications. Thanks for your comments. I hope you will keep reading!